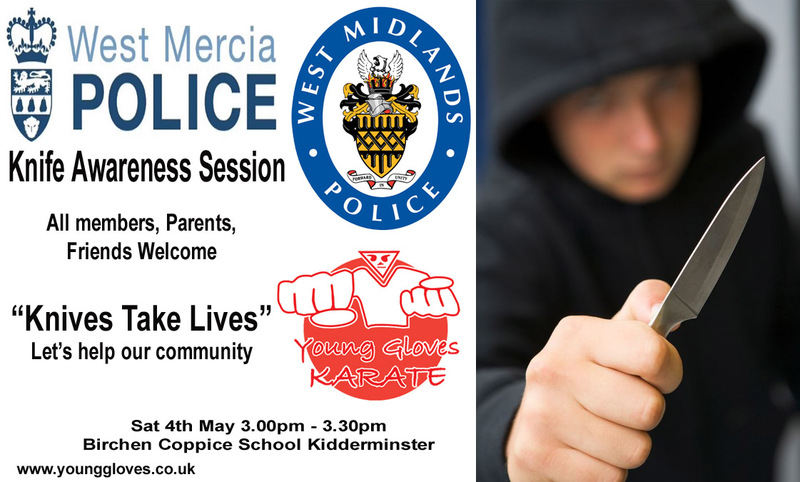 With this in mind Young Gloves Karate together with West Midlands and West Mercia Police are putting on a Knife Awareness Session, designed to give help, support and reassurance to both children and parents of our community. This is so important to our children's future, so lets make sure we protect the things we value most. Young Gloves Karate is not just a Martial Arts Club, but a Community Service committed to making a difference to society.